One of the most important events in the auto dealer industry just wrapped up in Tampa, Florida, between April 21-23. 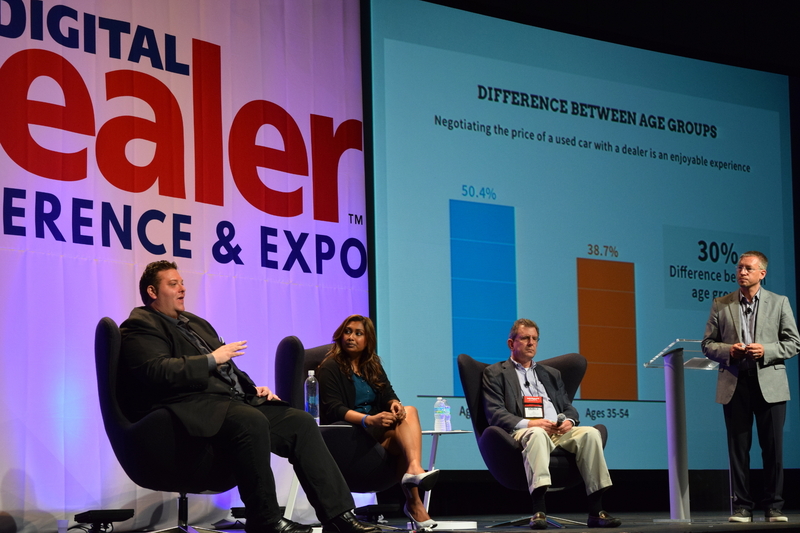 The 18th Digital Dealer Conference & Exposition (the first of the two during the year) saw a couple of thousand attendees get together to discuss the latest digital trends, challenges and developments in the retail automotive industry. So let’s have a deeper look at what the conference had to offer! 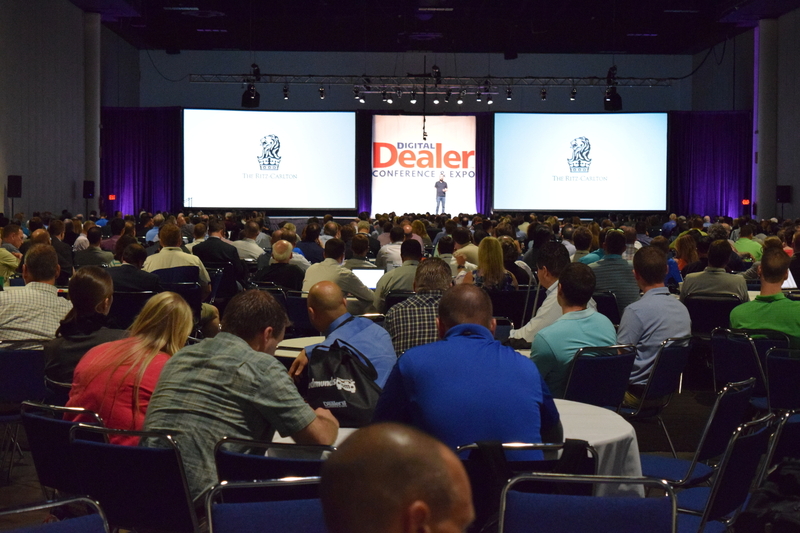 The 18th Digital Dealer Conference & Exposition featured over 1000 dealership attendees. Among those, 34 of the Top 150 dealership groups were represented as well as 4 of the top 7. In addition, there were over 100 OEM personnel and over 1,300 participants. With 100 educational sessions, 3 engaging keynote sessions and over 120 technology-specific companies in the exhibit hall, the event was packed with information and everybody had plenty to take home with themselves. Big on the list of topics this time around, among others, were mobile (as a growing factor in the automotive industry), the millennial market and the Hispanic market, as well as local SEO. A few people who delivered interesting and important presentations on these topics were Brent Wees who spoke about ‘Mobile Optimization – You Have Your Responsively Designed Website; Now What?’ and Greg Gifford with his presentation on ‘Local SEO – How to Win the Race to the Top of Local Search Results’. There were also two highly informative panels. ‘Millennials, Mobile and Moving the Metal – How to Make 2015 the Year of the Dealer’ was delivered by Dean Evans, Subi Ghosh, Bill Simmons and Joe Webb – some of the most prominent and leading figures in the automotive industry. The other, ‘The Myth-Busting of Hispanic Auto Buyers’, the keynote speech on Thursday, April 23, was led by Peter Leto, Mat Koenig, and Rick Lopez, and was also highly important and topical, since the percentage of Hispanic buyers has been increasing significantly throughout the last few years. While it is not yet clear what the long-term consequences for dealers’ websites will be, it is expected that those who don’t have a mobile optimized version, will have their websites fall back in search results. On the other hand, dealers with exemplary responsive sites can expect to see more traffic come in. The relevance and necessity of mobile-optimized websites was also confirmed by Bobby Herron and Kevin Frye, both of whom held presentations at the conference. Dean Evans, Subi Ghosh, Bill Simmons and Joe Webb sent out a similar message during their panel. What’s more, having a mobile-friendly website is not simply a matter of complying with Google’s increasing requirements. It is also a way of attracting customers, particularly the much sought-after millennial customers. As millennials, the biggest generation in U.S. history, move into their prime spending years, catering to them is equivalent to building a successful business. Dealers are now called to adapt to the changing market, due to the cultural and social changes that come with millennials’ entrance into the market – such as car sharing, for example. How they address these shifts will determine their success. Lopez, Leto and Koenig also had some exciting and interesting news for auto dealers who are targeting the Hispanic market. Based on data by Google, Leto demonstrated that Hispanics have become a serious force in auto retailing. About 18% of all expected new car sales in the coming year, or up to 2 million vehicles, will be made by Hispanics, according to him. As a starting point, Koenig pointed out, it is important to address these buyers both in English and in Spanish. Furthermore, this buyer segment is also known to engage with dealerships through mobile a lot more than other buyers, as well as to watch videos on YouTube as part of their shopping experience. Similar points were raised Beth Walter, who also spoke about this market in her presentation ‘Using Digital Marketing to Capture the Hispanic Auto Buyer’. 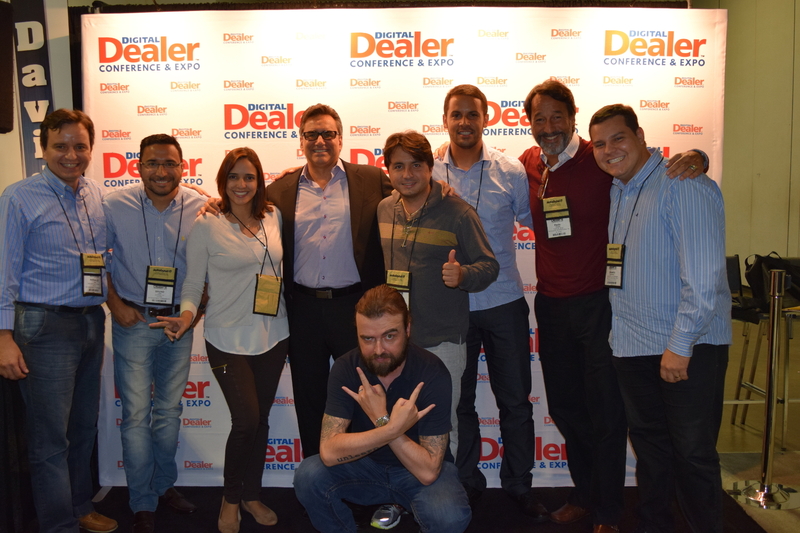 And while marketing in Spanish is a great advantage, even that may not be enough, as Joshua Smith pointed out in an interview before the Digital Dealer Conference. “It’s like selling into 40 small markets, not one big one.” In other words, auto dealers who want to target the Hispanic auto retail market need to carefully devise their strategies, and always be aware who exactly they are targeting. This brings us to local SEO and Greg Gifford’s presentation. Whether it’s the Hispanic or the millennial market, or both, local SEO is a necessity for auto dealers. Local SEO is all about specificity, and when it’s done right, it can bring more local car buyers than ever into your dealership. From increasing visibility to featuring reviews and engaging local people on social media, local SEO is a key component to remaining relevant to the increasingly digitized auto dealer industry. How Was Your Digital Dealer 18? As auto dealers are one of our main clients, we are interested in helping them get their business started and obtain their auto dealer bonds. Events like the 18th Digital Dealer Conference are vitally important for the industry to flourish. They offer plenty of valuable information, as well as the possibility to exchange experience and get in touch with other dealers. We’d like to hear your feedback on the conference and which panels you found important and relevant. What did you get from it and did it change the way you were doing business up until now? Leave us a comment!